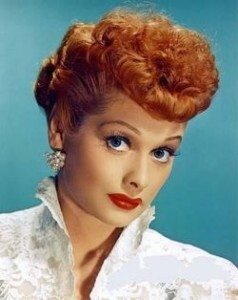 A third batch of “Pioneers of Television” (PBS, 8 p.m., check local listings) episodes begins with one concentrating on “Funny Ladies,” which can’t very well begin anywhere other than with a focus on Lucille Ball. It also covers Betty White, Mary Tyler Moore, Joan Rivers and Phyllis Diller, seen in her final interview. Not to be confused with an actual bad reality series called “Househusbands of Hollywood” that ran on the old Fox Reality channel in 2009, the new fake bad reality series “Real Husbands of Hollywood” (BET, 10 p.m.) grows out of a skit Kevin Hart has done the last two years of the BET Awards. It’s a little over-the-top and generally not funny, though it includes the usually good J.P. Smoove. Others involved include Nick Cannon, Duane Martin, Boris Kodjoe and Alan Thicke. On the eve of his second term a new “Frontline” (PBS, 10 p.m., check local listings) titled “Inside Obama’s Presidency” is a reminder of what a tough first four years it was, with Republicans vowing on Inauguration Day to block everything, which didn’t stop a stimulus plan, health care reform and a debt ceiling fight. Boyd targets a preacher on a new “Justified” (FX, 10 p.m.), which unfortunately plays at the same time as another good show, “Parenthood” (NBC, 10 p.m.). Richard Farina plays Nick’s father on a new “New Girl” (Fox, 9 .m. ); Mark -Paul Gosselaar guest stars on the competing “Happy Endings” (ABC, 9 p.m.). There’s a funeral for Ziva’s father, who was gunned down last week on “NCIS” (CBS, 8 p.m.). Who knew “American Gladiators” (CMT, 9 p.m.) was back on? Regular “Storage Wars” (A&E, 8 and 8:30 p.m.) is from California is now flanked by both “Storage Wars Texas” (A&E, 9 and 9:30 p.m.) and “Storage WarsNew York” (A&E, 10 and 10:30 p.m.). The two-hour first episode of the four part series, “The Ultimate Guide to the Presidents” (History, 9 p.m.) looks at the early days of the nation. Tamera gives birth on tonight’s “Tia & Tamera” (Style, 9 p.m.). No such blessings on “Totally T-Boz” (TLC, 8 p.m.). Allison Williams rocks an eyepatch as she guest stars on “The Mindy Project” (Fox, 9:30 p.m.). A winning couple is named on “Love Games: Bad Girls Need Love Too” (Oxygen, 9 p.m.), which follows a tenth (!) season premiere of the “Bad Girls Club” (Oxygen, 8 p.m.) which moves its bad behavior to Atlanta. The Tuesday night showcase of caper films continues on Turner Classic Movies with the 1961 “The League of Gentlemen” (8 p.m.), followed by “Dead Heat on a Merry-Go-Round” (10 p.m.), “$” (midnight), “Odds Against Tomorrow” (2:15 a.m.), and “The Day They Robbed the Bank of England” (4 a.m.). Men’s college hoops include Tennessee at Kentucky (ESPN, 7 p.m.), Notre Dame at St. John’s (ESPN2, 7 p.m.), Wake Forest at Clemson (ESPNU, 7 p.m.), Wisconsin at Indiana (ESPN, 9 p.m.) and Mississippi at Vanderbilt (ESPNU, 9 p.m.). Early round play continues in the Australian Open (ESPN2, 11 p.m.). Kelly & Michael: Mark Wahlberg, Kim & Kourtney Kardashian. The View: Emmy Rossum. The Talk: Rachel Bilson, Ken Lindner. Ellen DeGeneres: Nicki Minaj. David Letterman: Jennifer Lawrence, Alan Zwiebel, A$AP Rocky. Jay Leno: Jessica Simpson, D.L. Hughley, Vintage Trouble. Jimmy Kimmel: Rob Lowe, Bryce Harper, Big Boi. Jimmy Fallon: Charlie Sheen, Emmy Rossum, Grace Coddington, Yo La Tengo. Craig Ferguson: Lena Dunham, Bill Pullman. Carson Daly: W. Kamau Bell, Lianne La Havas, the Hives (rerun). Tavis Smiley: Prince (rerun). Jon Stewart: Bob Schieffer. Stephen Colbert: Jared Diamond. Conan O’Brien: Jesse Tyler Ferguson, Teresa Palmer, Baron Vaughn. Chelsea Handler: Bill Maher, Chris Franjola, Lauren Lapkus, T.J. Miller.